Based in Atlanta and serving people across Georgia, attorney Steven I. Goldman of The Goldman Firm has made it his mission to help seriously injured people recover the compensation they dearly need. 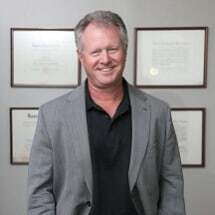 Steven started practicing law in 1986 after graduating from the Emory University School of Law. After briefly defending large companies in labor disputes, he decided to begin representing people who have been injured by anothers' negligence. Since founding The Goldman Firm in 1989, he has devoted his entire practice to personal injury litigation. He takes on all types of cases, including motor vehicle crashes, premises liability claims and workplace accidents. Whatever your claim involves, Steven will work tirelessly to build the strongest possible case. Whenever possible, he will try to settle your case on favorable terms, but there are times when trial is absolutely necessary. Steven will not hesitate to take a case to trial when in his clients' best interests. As your case progresses, you can count on a high level of client service. When you need to speak to your lawyer, Steven will be there to answer your questions and discuss your concerns. As an active member of his community, Steven provides pro bono work to dog rescue organizations and has judged moot court competitions in his spare time. To discuss your injuries with an experienced personal injury attorney, call 404-857-3505 to set up a free initial consultation.